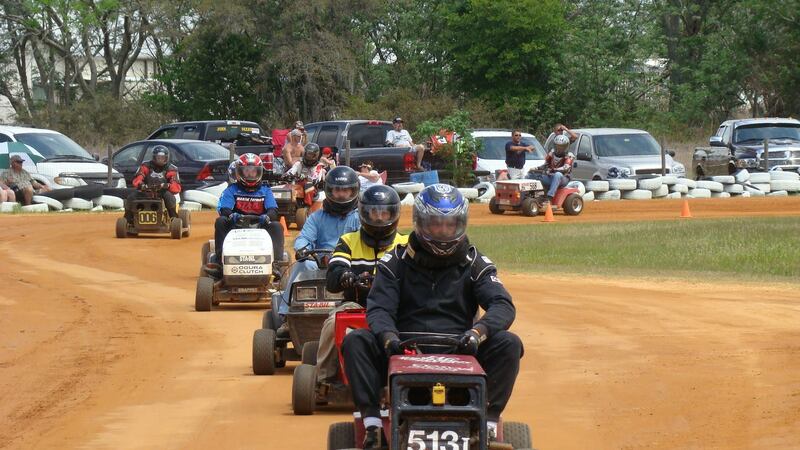 Established in 1992, we are America’s oldest and largest National Mower Racing Sanctioning Body. The USLMRA is run for fun-loving racing enthusiasts and their friends. Members and affiliate racers enjoy the love of competition and to tinker, and all who share this philosophy are welcome. We don’t race for money, only trophies, glory, points and bragging rights! We balance American ingenuity with a sense of humor and a love to tinker and desire to go fast! By not racing for money, we keep our sport safe and affordable. 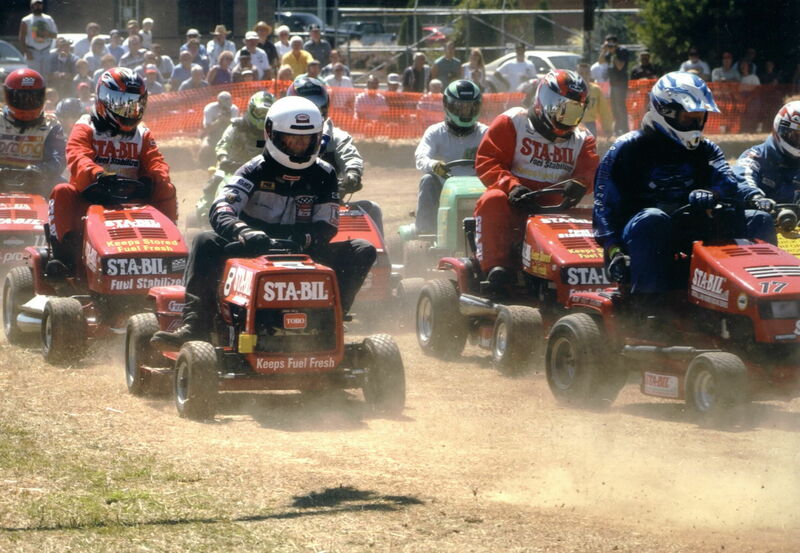 Where Do Lawn Mower Races Take Place? Points are awarded at each STA-BIL Lawn & Garden Mower Racing Series Race and many of our Local Chapters and Affiliated Clubs crown “Local Champions” each year. Racers are grouped with other competitors with comparable mower equipment based on horsepower and modifications. You’ll be asked to make some modifications to your mower to be in the race. (Technical assistance is available). For example: blades must be removed, automatic shut-off (kill) switches installed or enabled, and all stock safety guards must be in good working order. Your mower will be inspected by officials on race day. You’ll also be required to wear protective clothing, neck brace and a helmet. How did lawn mower racing start? Lawn mower racing was started back in 1973 by an Irishman named Jim Gavin, in a pub in Wisborough Green, West Sussex where conversation turned to the topic of motorsports. Jim wanted to create a form of motorsport that didn’t involve lots of money and was readily accessible to everyone. As Jim and the group he lunched with looked out across the village green, there was the groundsman mowing the cricket pitch. It was then they realized everyone had a lawn mower in their garden shed so they said “let’s race them”! 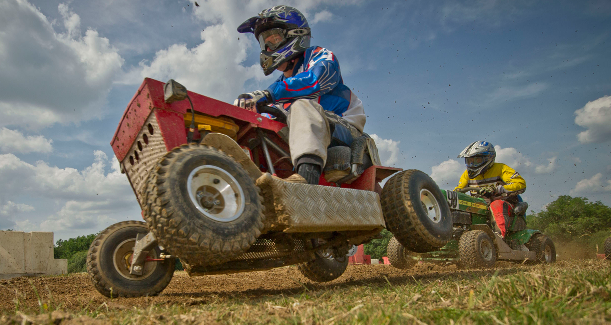 Lawn Mower Racing takes place all over the world now!